Konnichiwa! Welcome to the Eco Pages of Japan! With over 100 business listings here, you will find plenty of everything eco from yoga centres, spas and health food stores to energy efficient products and earth friendly cleaning supplies. Some of the highlights Japan has to offer include high efficiency home appliances and a wide array of vegetarian friendly restaurants. 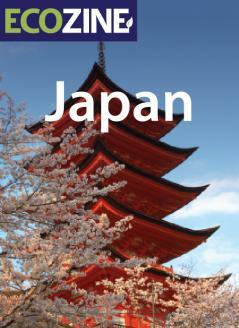 Japan has long been a leader in Asia for its progressive environmental policies. In 2000, the government introduced a law on the procurement of eco-friendly goods and since then, the world has enjoyed more energy efficient and eco friendly products. Technology companies such as Mitsubishi, Sharp, Panasonic and Sony are regularly developing a wide range of energy efficient appliances that also incorporate recycled and low toxicity materials. As a relatively health conscious nation, Japan has seen a considerable increase in vegetarian, vegan, macrobiotic and organic restaurants, as seen in our Restaurants category. Although health may be at the forefront of our minds when choosing this type of diet, we will also find ourselves with a lower personal carbon footprint and in most cases very happy tastebuds too!